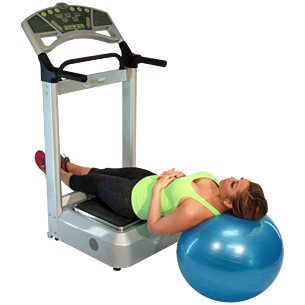 Lie on the plate while positioning your legs and half of your buttocks on the center of the plate. To vary, move your buttocks onto the plate. This exercise provides a loosening on your legs and bottom buttocks.